At Eco-Tech Pest Control, we’re committed to eco-friendly, safe and effective pest control solutions. We serve residential and commercial customers throughout St. Paul, Minnesota and offer both interior and exterior pest control management. The most important part of treating pests is to know exactly what pests we’re dealing with, and fix the problem using safe chemicals so you, your family and your pets do not suffer any second-hand consequences. 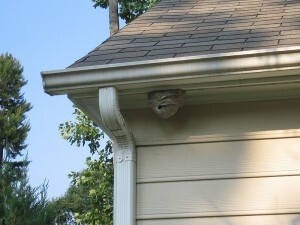 Our continually trained and experienced team inspects for nesting habits, signs of breeding, migration habits, and other signs of a pest infiltration before suggesting a treatment. This way, whether it’s bed bugs or gophers you’re dealing with, we know the right way to go about getting them out of your home. We start protecting your home by conducting a thorough inspection with a focus on areas that attract pests or allow them access to your house. We’ll offer you advice on how you can control pests through preventative steps, and our technicians will perform an initial treatment to rid your home of any existing pests. We will then suggest an ongoing maintenance program for your home if necessary. From office buildings to restaurants and property management associations, we take care of all of your pest control needs. We offer on-site commercial property consultations, proven pest control solutions, and ongoing maintenance programs. Our integrated approach to controlling pests on your commercial property has several steps to ensure the elimination of all pests, and keep your business up and running at its best. At Eco-Tech, we will create a plan that best fits you, your home or business and take the appropriate steps to help you control unwanted pests using the least damaging methods to the environment, your home, and your family. Often these methods include changing habits, trapping insects, relocating or trimming shrubbery, sealing cracks, and sealing and storing food properly. With an integrated pest management approach, we avoid having to use chemicals, and even if this step is necessary all our products are eco-friendly and safe, unlike most products you will find in stores. At Eco Tech Pest Control Services, we help home and business owners control pest problems in St. Paul, MN and throughout the Twin Cities. We will immediately assess and address current pest infestations and help you prevent them from happening in the future. As professional exterminators, we specialize in safe and environmentally-sensitive techniques with our integrated approach to pest management. For all of your pest control needs, including animal, ants, bed bugs, and spiders, in St. Paul, MN and the surrounding area, give us a call today at (612) 237-8282 for assistance.